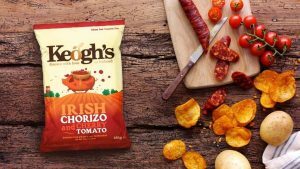 Keogh’s Farm, famous for their delicious, gluten free crisps have released a brand new flavour – Irish Chorizo and Cherry Tomato. 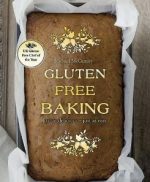 The new, limited edition flavour, is both gluten free and lactose free. Developed in collaboration with Gubbeen Smokehouse in Cork, the new crisps are available in shops now. 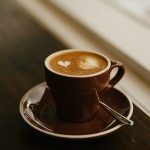 Based in North County Dublin, Keogh’s launched in Northern Ireland two years ago, with continued growth, Northern Ireland is now the familys’ largest export market. This latest development is part of a successful year for the Keoghs’ team with eight new recruits and distribution now to 14 countries around the world. Keogh’s Farm are welcoming customers to give their feedback on the new flavour on their social media channels. Search @KeoghsFarm on Facebook, Twitter and Instagram. Keogh’s Chorizo and Cherry Tomato crisps are available in 50g or 125g in participating stores nationwide.